Register for OSUD's 40th season! Registration for the 2018-2019 season begins on August 3, 2018. You can download an OSUD registration form (weblink) and send it electronically or send it by mail. Registrations are processed on a first-come, first-served basis until classes are full. 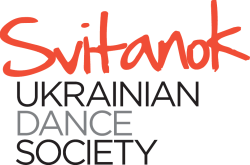 Email your registration form to svitanok.ottawa@gmail.com with your payment made via e-transfer. You will receive a $5 discount on total fees per student using this method. ​If you would like to ask registration questions by phone, please call Kateryna at 613-692-5243 or Maria at 613-798-3638. Fees can be paid in either one or two instalments. Full-year fees are payable September 9. Fees paid in two instalments are due September 9 and January 13. An early bird discount of $10/registration applies until August 18! Register early to save some money! Families that register more than one family member in the School receive a discount of $10 per family member on a full-year cost.